The Rebel Sweetheart. 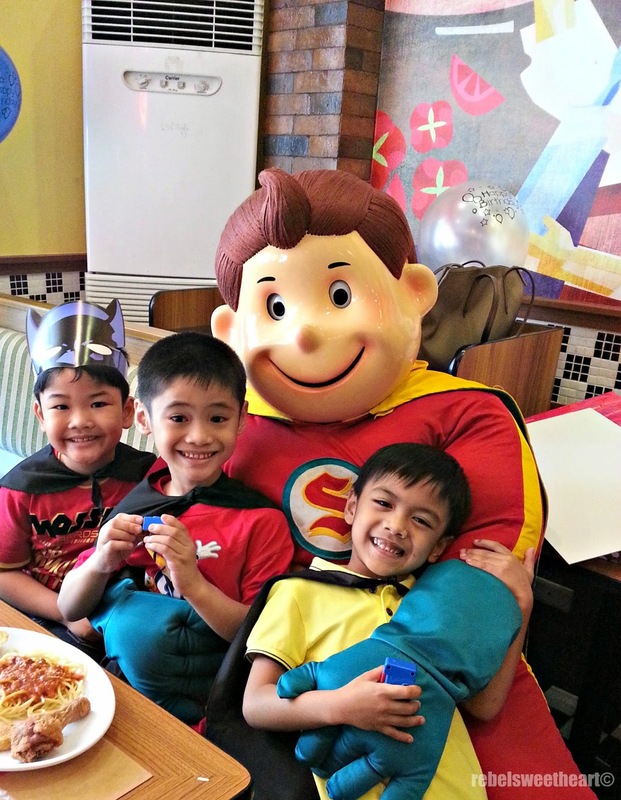 : Shakey's Birthday Party | Heroes, Pizza, Fun! 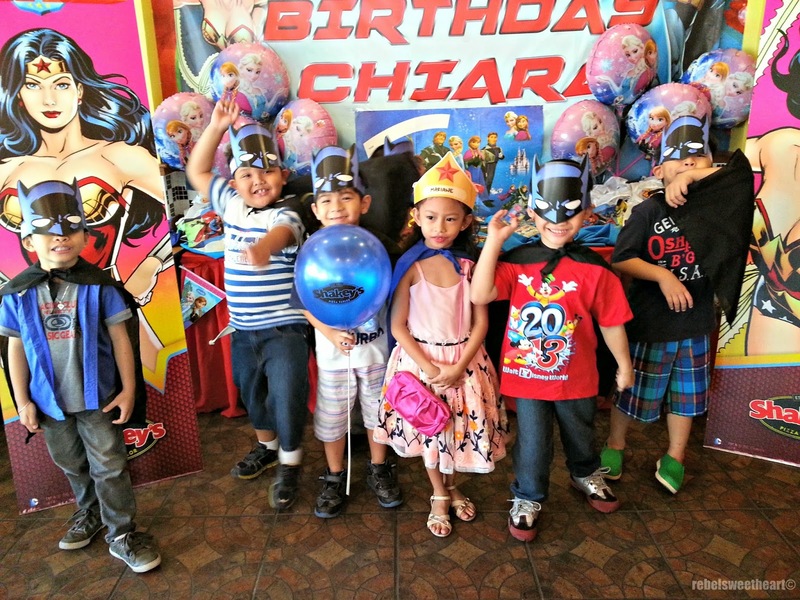 Yue's friend, Chiara, turned seven a few days ago. 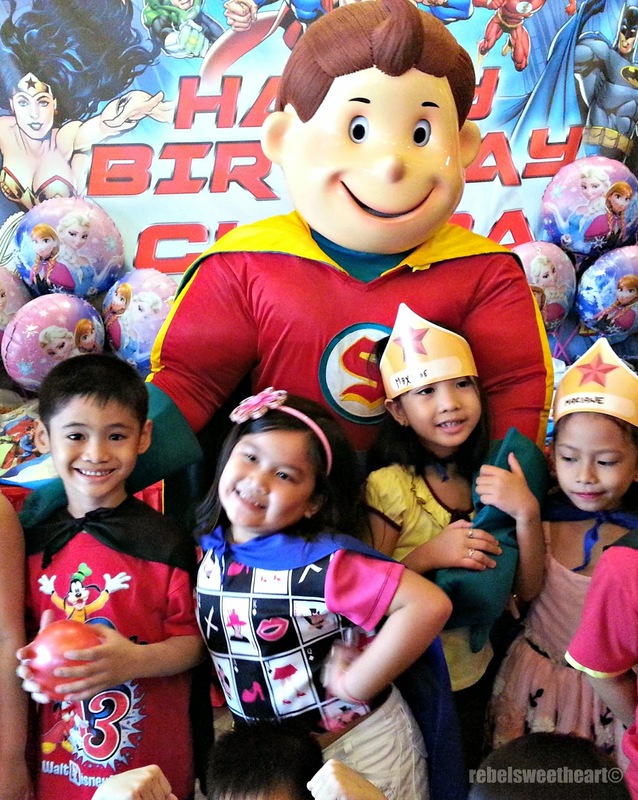 To celebrate the occasion, she had a party at Shakey's, where Yue (and I), and the rest of the Grade 1 class (and the moms, of course) had been invited. 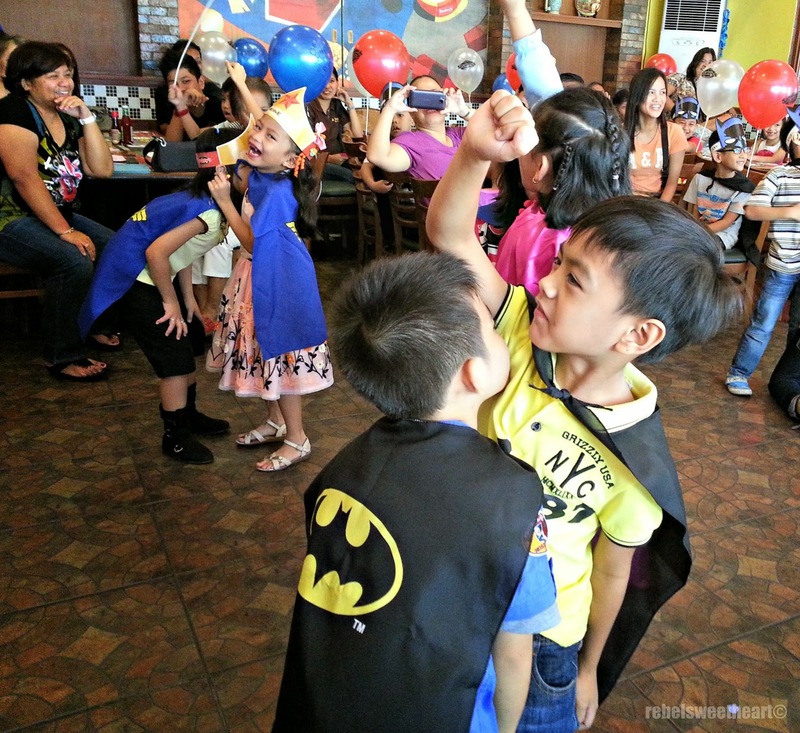 I wanted to blog about the experience, because truth be told, it's our first time to attend a Shakey's Birthday Party. Haha! 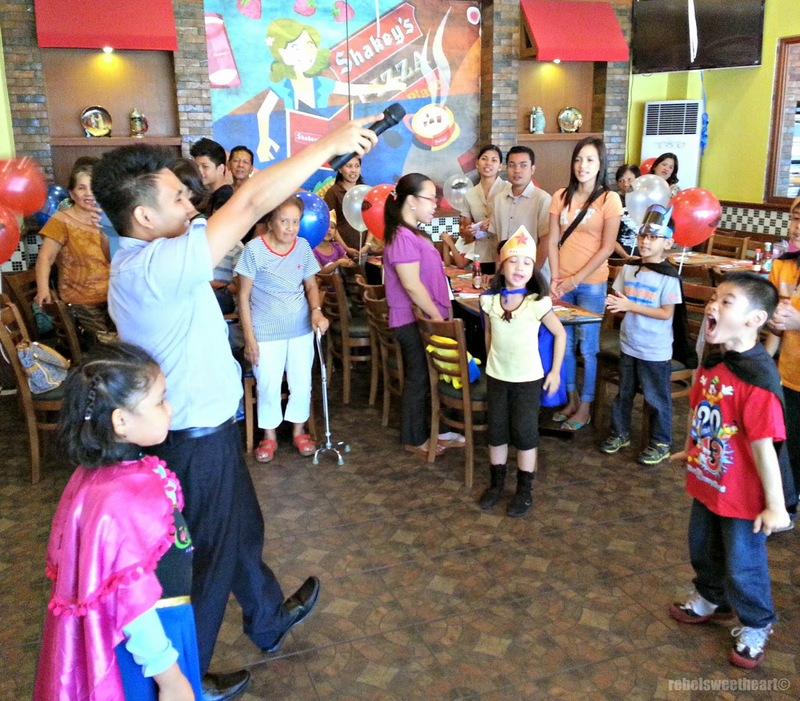 The function room at Shakey's San Pablo can accommodate 70-80 guests. This was how the place looked like when set-up. 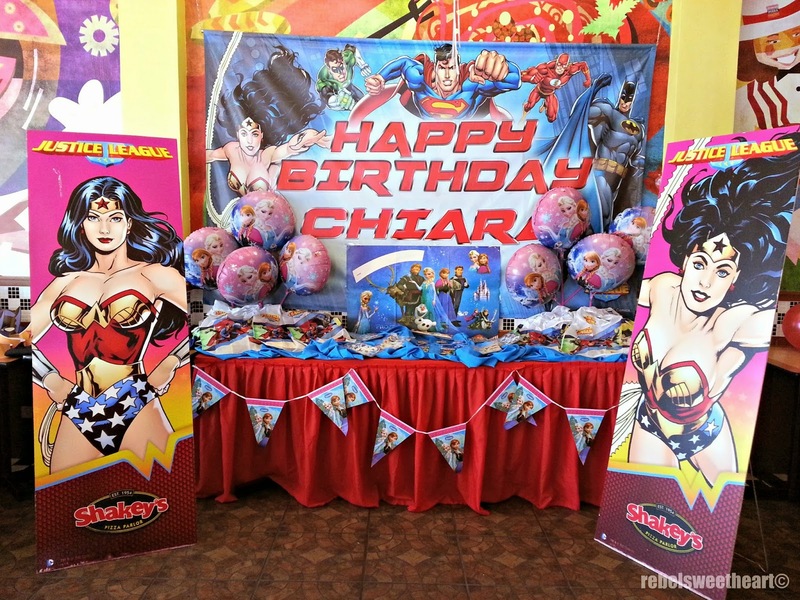 At present, Shakey's has only one party theme available - Justice League Unlimited. 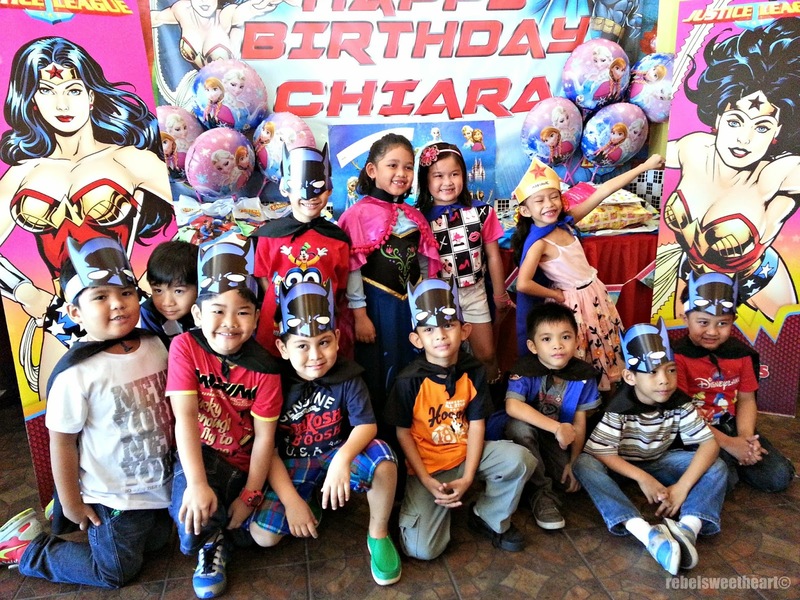 Chiara, however, wanted a Frozen-themed birthday party. 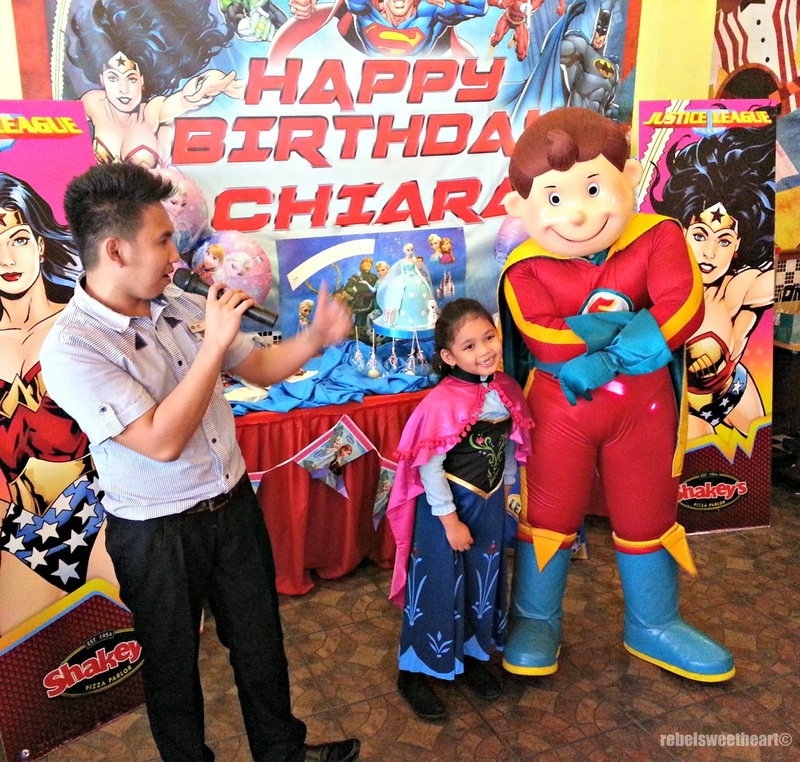 The staff at Shakey's San Pablo were kind enough to grant Chiara's request. 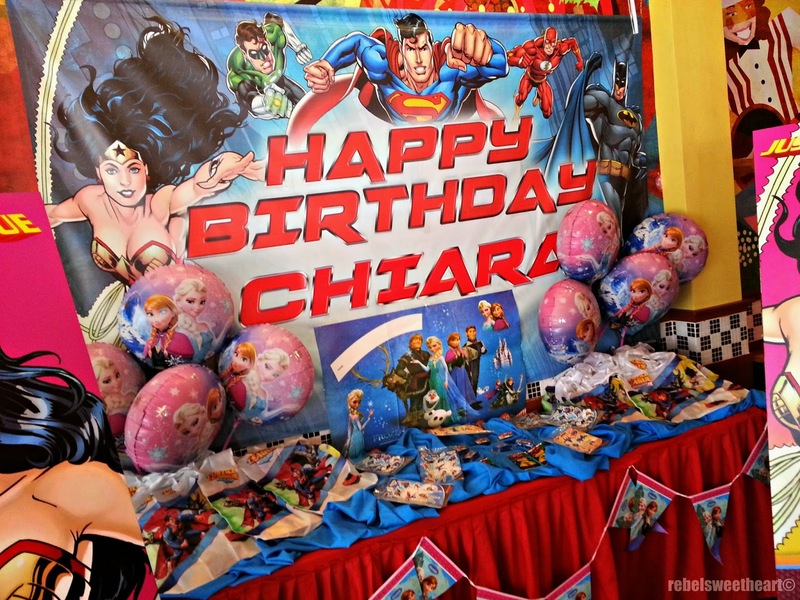 The Frozen balloons, the cake, and the party favors were provided by Chiara's family, while the Justice League stuff are included in Shakey's party package. 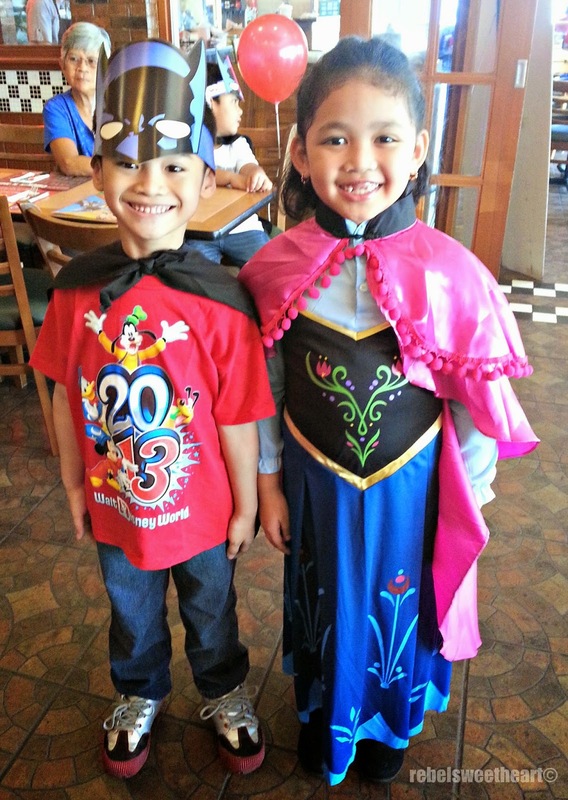 Yue with Chiara, in her Anna costume. 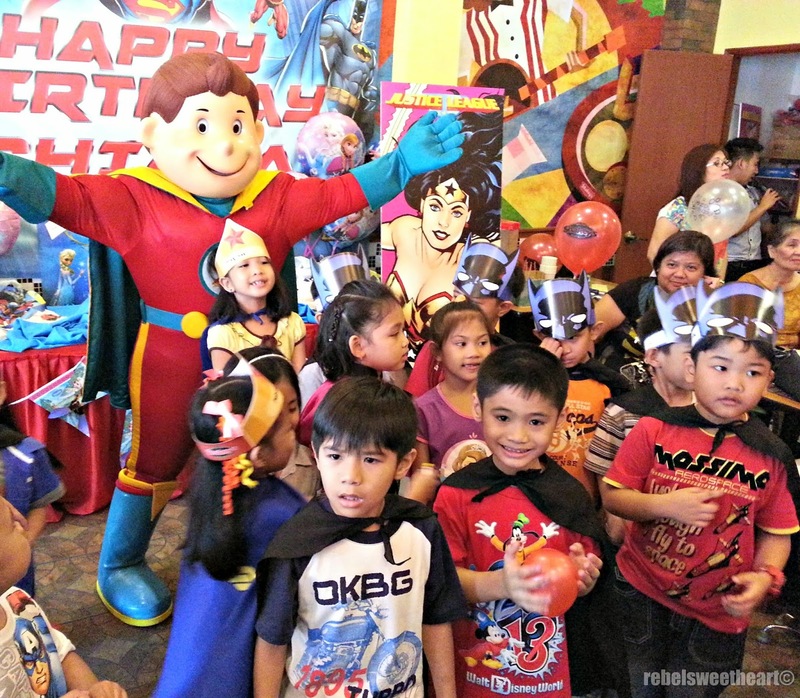 Aside from the usual party hats, the kids were given super hero capes, which I thought was pretty cool. 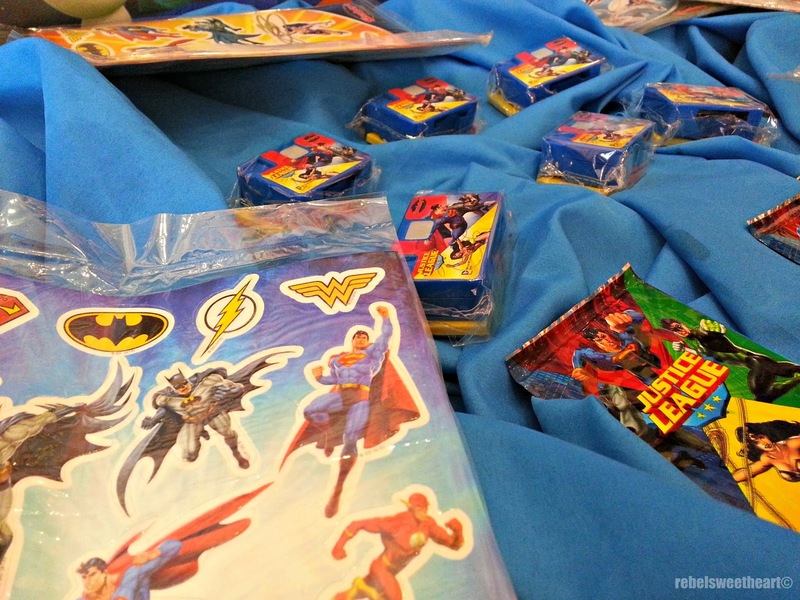 The boys got Batman, while the girls got Wonder Woman capes. Game prizes and party favors. 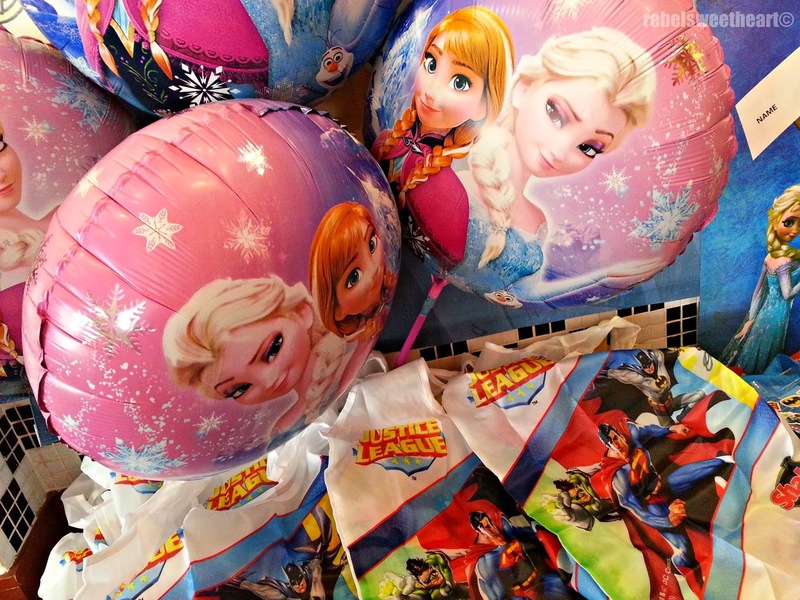 Frozen balloons and Justice League loot bags. 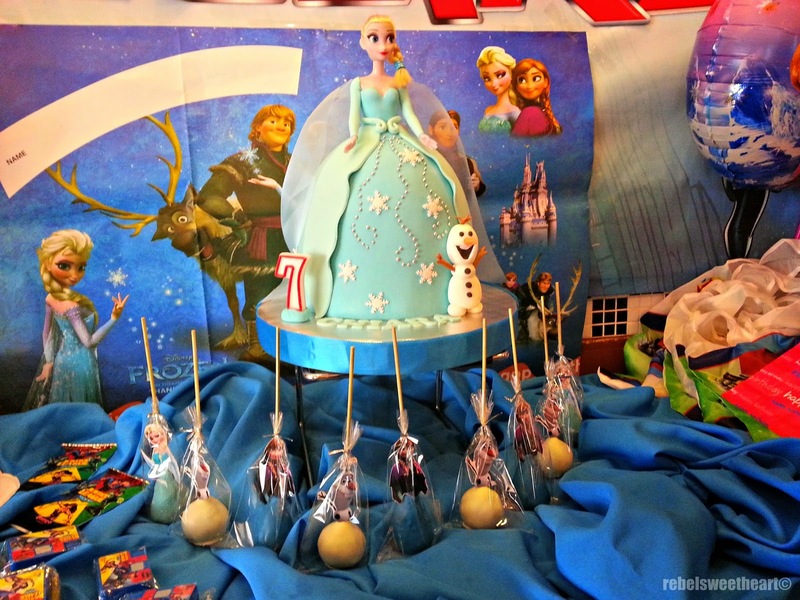 Elsa birthday cake + cake pops. Yue having the time of his life. Hahaha! And a mascot appearance, too! Photo op with the kids. Oh, and the food! 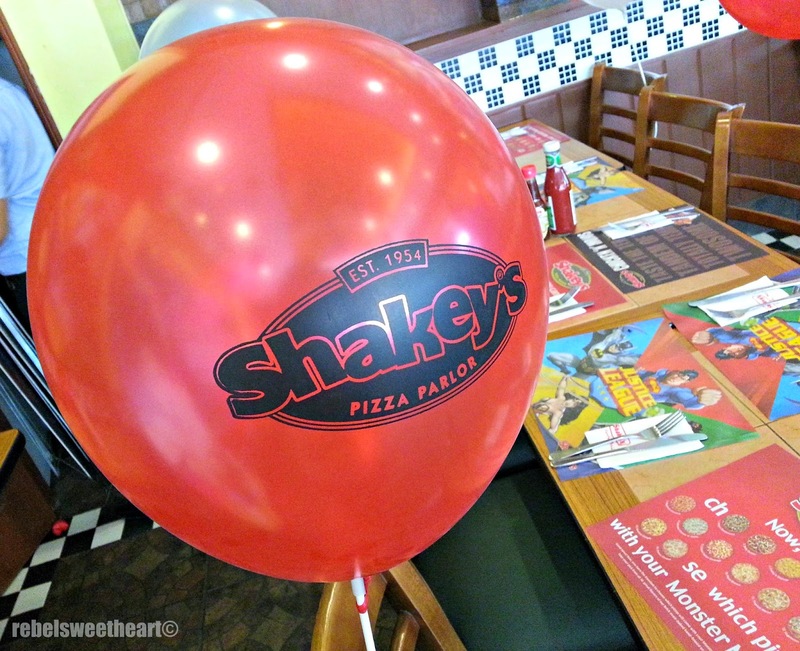 Shakey's has four food packages, with prices ranging from Php 155 to Php 225. 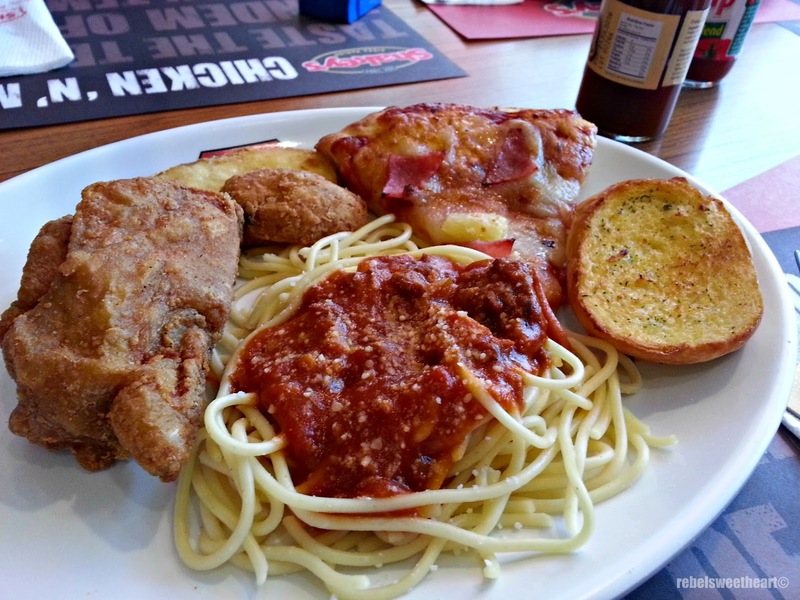 Spaghetti, chicken, mojos, garlic bread, and pizza + a glass of cola. What a cute party.. and i like that they dressed up! This looks like a fun place. Your spaghetti plate looks amazing. that looks like a great party! i bet they had a great time. Awesome theme indeed. It looks like they all had an amazing time. We don't have a Shakey's here. Thanks for sharing. Sounds like fun & interesting birthday party. These Kids dresses looks so pretty. Elsa birthday cake looks very different too.